The late great Frankie Knuckles once called house music: “church for people that have fallen from grace.” Anyone who has been caught up in the rapture of a true house classic can testify to its power to unify and uplift. HGC is an electrifying House meets Gospel experience that never fails to get audiences clapping, dancing and singing along. 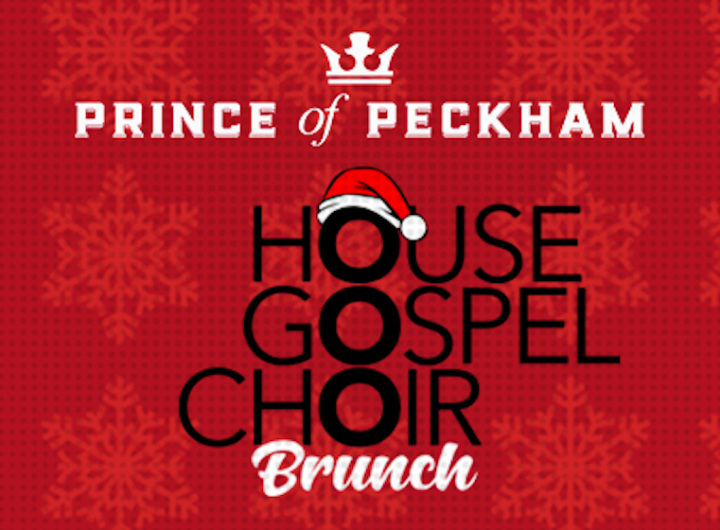 HGC bring together a group of outstanding singers, and DJ, creating an effortless live fusion of the biggest house and gospel tunes that never fail to raise the roof! Come and enjoy music, laughs and a delicious brunch menu, brought to you by Street Feast kings White Men Can’t Jerk. Refreshing but punchy mix of Bacardi Carta Negra, Wray & Nephew Overproof rum and tropical juices. Red Stripe brined, buttermilk fried chicken & traditional American waffles with a hint of vanilla, whipped maple butter, pepper sauce and maple syrup. Signature jerk chicken smoked over wood and served with rice & peas, coleslaw, pineapple & scotch bonnet jam and jerk sauce. Jerk cauliflower steak and roasted peppers served with rice & peas, coleslaw, pineapple & scotch bonnet jam and jerk sauce. Warm Appleton rum cake with raisin ice-cream.